Before you enter our Allen Park dental office, you may have a variety of questions. Some of our most frequently asked questions about our treatments or office policies are posted below. If you don't see the information you need here, please call us at (313) 928-6100 so we can answer your questions. Dr. Stankiewicz is extensively trained, but because dentistry is constantly changing, he does a number of things to stay up to date on all of the current findings. He frequently attends continuing education courses that focus on the latest in cosmetic and restorative dentistry. He also belongs to a variety of organizations that offer seminars and conferences on issues in dentistry. Dr. Stankiewicz is also always reading about the latest studies and success rates of procedures. If you want to see what the doctor is up to, he is always happy to tell patients what he is studying and why. When you first visit our practice, we recommend visiting us every three to four months. If you take good care of your teeth, we may adjust this time period depending on the state of your teeth. You can schedule your next visit after your appointment. Around the time of the appointment, we will send a postcard and may even call you to remind you of your visit. We would like to see your children at two to three years of age. During the first visit, we will just show them around the office and introduce them to the dentist. Afterwards, we will schedule a second appointment where we will give them an examination. In this day and age, we know deciphering your insurance benefits can be confusing. We are happy to help you with insurance concerns. Our Allen Park dental office participates in Delta Traditional DPO, MET Life PPO, and Blue Cross-Blue Shield Traditional. 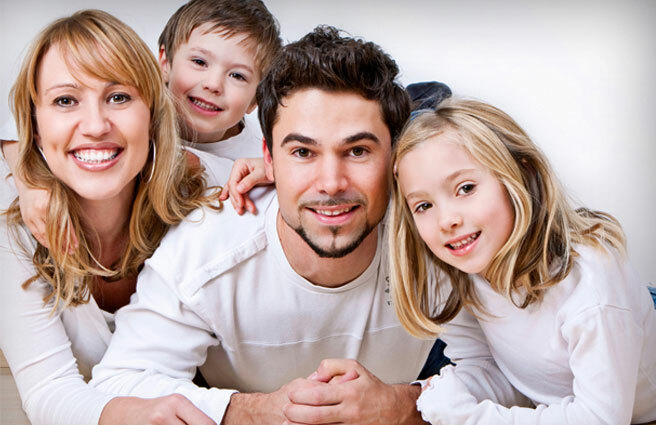 We accept most insurance plans as long as you can choose your own dentist. We feel, however, that your insurance should never dictate the quality or timing of your treatment. If you have extensive or long term dental care, our office offers financial assistance through Care Credit, an outside financing company with competitive interest rates. If you have any questions, call Raylene at (313) 928-6100. Our office accepts cash, check, and credit cards such as Master Card, Visa, or Discover. Any amount not covered by your insurance is your responsibility. If you have extensive or long term dental care, our office offers financial assistance through Care Credit, an outside financing company with competitive interest rates. We take several precautions to ensure your safety as our patient. First, we keep up-to-date on the latest sterilization procedures and research. Our office complies and exceeds OSHA standards for safety. Our instruments are thoroughly sterilized in accordance with ADA accepted guidelines. We use distilled water during your appointment and offer you a bottle of it afterwards. Most importantly, we have two autoclaves and an Ultrasonic sterilization center where we can maximize efficient sterilization and minimize the chance of contamination through human error. If you have any questions, we would be happy to demonstrate our sterilization procedures. There are several things that make our office different. First, from the moment you walk through the door, we want you to feel comfortable, calm, and relaxed. We designed our office to inspire in our patients a sense that they belong here. Second, Dr. Stankiewicz is a perfection-seeking dentist, even using a microscope to verify the accuracy of the appliances we use to treat your teeth. He and our team are exceptionally skilled professionals in cosmetic dentistry and restorative dentistry. We work together to make sure you have the best dental health care available. Finally, we have the latest technology and a variety of comfort amenities, to ensure your visit is relaxing. If you truly want to know what makes us different, call us at (313) 928-6100 to schedule a complimentary consultation for one of our cosmetic or restorative services. We can tell when people are nervous about being in a dentist's office. Nothing seems to help them relax. That's why we offer several amenities to make your visit comfortable. We also offer nitrous, which can help anyone who is excessively nervous about their visit or has a sensitive gag reflex. Before we can give you nitrous, however, we need to discuss your medical history with you. If you want to learn more about our comfort procedures, ask us during your visit or call us during office hours. Crowns, veneers, onlays, inlays and partials-where can I learn more about these procedures? Dr. Stankiewicz usually recommends these restorative procedures as part of a permanent restoration. They are easy on your mouth, more durable, and aesthetic looking. You can learn more about these procedures on our Dental Library. If you have questions about these procedures, you can schedule a consultation with Dr. Stankiewicz at no charge to discuss if these may be an option for you. To schedule an appointment, call Raylene at (313) 928-6100. There are a variety of ways to improve the appearance of your teeth without braces. We offer ClearCorrect® to help straighten your teeth, but we may also recommend one of our other cosmetic services, such as bonding or porcelain veneers. If you would like to enhance the appearance of your smile, call us so we can schedule a complimentary consultation with Dr. Stankiewicz. After listening to your goals and concerns, he can suggest ways to help you straighten your smile.